Investigators in North Carolina have released new surveillance footage showing a man they’d like to speak to in connection with the search for kidnapped 13-year-old Hania Noleia Aguilar. The surveillance video shows a man wearing light-colored shoes, a light-colored shirt and hoodie walking south on Lambath Road before making a left on Highway 41 toward the trailer park Monday morning, FBI Supervisor Andy de la Rocha told reporters Thursday afternoon. The man was the only person seen walking in the neighborhood in that part of the day, De la Rocha said. Several vehicles were seen in the video driving past the man, De la Rocha said, asking anyone who may have seen the man that morning to call the tip line. The man seen in the footage is not considered a suspect or person of interest at this time, rather someone they “want to speak with” and may be able to help investigators to narrow down a timeline, De la Rocha said. “This is the only person that, at this time, we are actually able to identify via CCTV footage, and he may have information for us,” he said. The stolen SUV in which a 13-year-old was kidnapped was recovered just before 8 a.m. Thursday — but the desperate search for the girl continues. 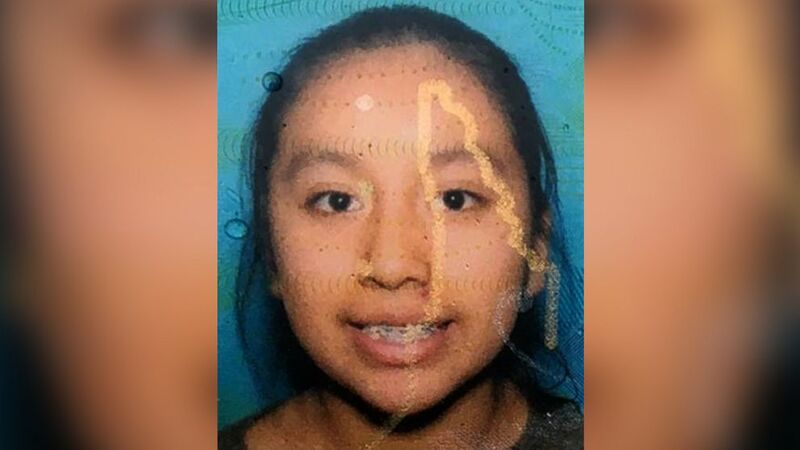 Eighth-grader Hania Noleia Aguilar was kidnapped just before 7 a.m. Monday outside her home at the Rosewood Mobile Home Park in Lumberton, North Carolina, according to Lumberton Police. Hania had grabbed her aunt’s keys that morning so she could go turn on the car before school when a witness saw a man — dressed in all black with a yellow bandanna over his face — approach the girl and force her into the car, police said. The suspect then stole the car and drove away with Hania, police said. Authorities on Wednesday release surveillance footage of the car snapped moments after the kidnapping. As the search for Hania continues, the police department asks anyone who lives or owns a business on or around Quincey Road and has a video surveillance camera system to call the tip line at 910-272-5871. Investigators are also going “door-to-door” to talk to anyone who lives nearby,Lumberton Police Chief Michael McNeill said in Thursday’s press conference. When Hania was abducted, her relative ran to a neighbor for help, and at 6:54 a.m., they dialed 911, the FBI said. The caller spoke in Spanish and the dispatcher incorporated a translator into the conversation, the FBI said. Hania is described as a Hispanic girl who is 5 feet tall and weighs about 126 pounds, the FBI said. She has black hair and brown eyes and was last seen wearing a blue shirt with flowers and blue jeans. ABC News’ Matt Stone contributed to this report.